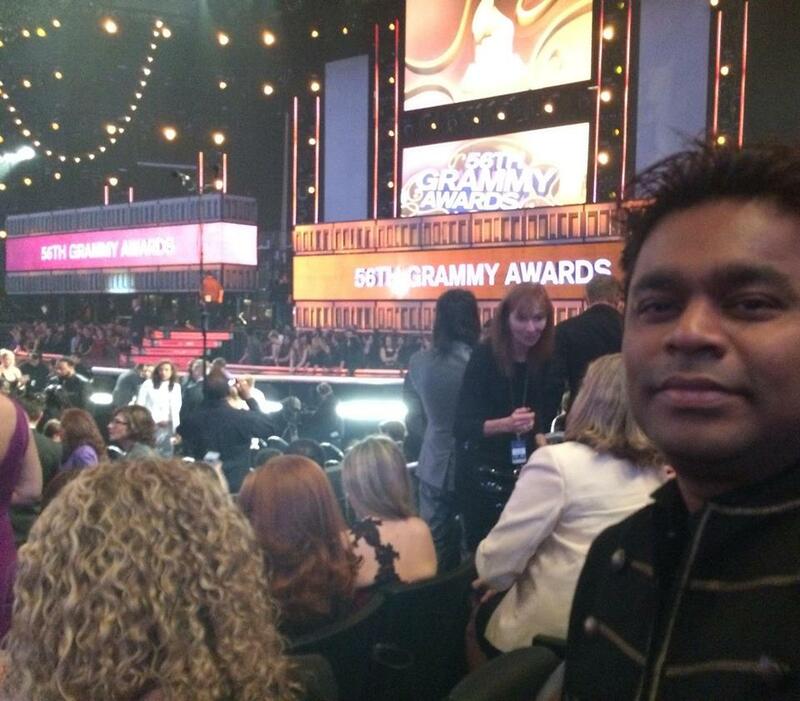 The Mozart of Madras and the wizard of music, A R Rahman posted his selfie pictures on his social networking pages while attending the 56th Annual Grammy Awards held at the Staples Center in Los Angeles. The 48 year old musical genius posted on his pages “At the Grammys’ while adding a picture of him at the venue. Rahman looked stylish shirt with matching blazer for the event. Back in 2010, he lifted two prestigious Grammy awards for his best works in Danny Boyle’s Slumdog Millionaire. The composer of India won two nominations at 52nd Grammys, best film song and best soundtrack for the film, beating supreme contenders like Quentin Tarantino for Inglorious Basterds and Bruce Springsteen, making India proud for more than one instance. The genius was elated while picking the awards “This is insane, God is great”, he said.